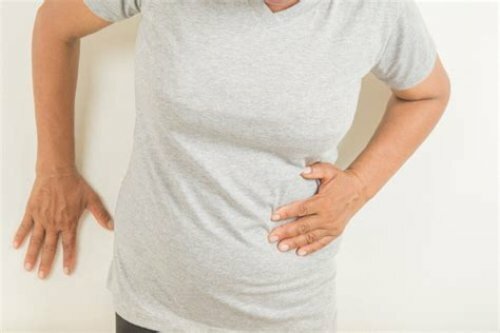 Oblique muscle strain occurs when you strain a group of muscles that make up part of your abdominal area, and it can really affect you as these muscles become engaged when you are bending or lifting an object. By the time you are done reading this article, you will know the difference between external and internal oblique muscles, as well as how to treat a strained oblique muscle. Oblique muscles are the muscles that make up the sides of your abdomen, and they are broken up into two different types: external oblique muscles and internal oblique muscles. External oblique muscles are fairly large and run up the sides of your abdomen. They are on the surface of your abdomen in between the layer of subcutaneous fat. These muscles also run along the side of your abdomen but are smaller and found below the external oblique muscles. They become engaged when you bend, twist, lift, or perform other similar movements. As these muscles are involved in so many everyday movements, they can easily become strained. What Causes Oblique Muscle Strain? As you can see, it’s not hard to do something that can cause a strain on your oblique muscles. But, how can you tell if your oblique muscles are strained or if they are just sore? Separating and identifying an oblique muscle strain from a sore muscle after a workout can be a little bit on the tricky side. To that end, there are some symptoms that can help you to know the difference. A sore muscle will usually go away within a 24-hour period. A strain may last beyond that depending on how bad the oblique muscle strain is. Oblique muscle strains tend to be painful as opposed to sore. This pain may differ in severity in response to the strain itself. A minor strain may only cause pain when you begin to use those muscles, whereas a more severe strain may hurt on a constant basis. In the case of a severe strain, the oblique muscles may become bruised and even slightly swollen. They will also be sore to the touch. Luckily, there are many ways to treat strained oblique muscles, including exercise. Since oblique muscles are associated with everyday movements, you’ll want to treat and repair the strain as quickly as possible. There are numerous things you can do to help with oblique muscle strain treatment. A staple for any muscle injury, a hot compress can relax the muscles and promote blood circulation to help the muscle heal. A cold compress can help temper the pain of the injury. Anti-inflammatory drugs can help reduce inflammation and swelling in muscle and joint injuries. Drugs like ibuprofen, aspirin, and naproxen can help relieve some of the inflammation and discomfort you may be experiencing due to the strain. One of the easiest things you can do for any muscle strain is to give the muscle a bit of rest. Give it a day or two of not doing activities where you are directly engaging those muscles. Or, at the very least, try to limit using that muscle over a few days. A trained massage therapist may be able to work out some of the strain and cramping, but make sure you inform the masseuse of the strain and to the extent that you are injured. If they are unaware of the strain, they may end up accidentally making it worse. Once you have rested for a little while and tried these treatment options, you can then move on to another option for helping an oblique muscle strain: exercise. It may seem counterintuitive at first, but there are some exercises that you do to help treat strained oblique muscles. Standing with your feet shoulder-width apart, bend in a reverse direction to touch your feet and hold the spot for 30 seconds. After 30 seconds, return to a normal standing position. Starting in a push-up like position, place your hands under your shoulders. Place both of your feet approximately the width of your hips apart, lining up your neck and spine. Hold this position for 20 seconds, and do two or three repetitions. Lie on the side that has the muscle strain with your knees bent. Lift your body up with the arm of the injured side, and try to keep the body as straight as possible. Hold this position for 20 to 25 seconds before resting and perform two or three more reps. While lying down with your face to the floor, extend both of your legs and place your hands in parallel below your shoulders. Push your upper body and arch your back while not disturbing your legs. Hold for 10 to 30 seconds before resting. In addition to these exercises and stretches, there are a few yoga exercises that may be able to help you prevent an oblique muscle strain from occurring. For the most part, yoga is based around stretches and strengthening your core. There are a few poses that can specifically help you prevent oblique muscle strain. Stand with your legs spread out to approximately double your should-width apart. Lean forward as if you were trying to place the top of your head on the floor, but keep your back as straight as possible. Pointing one foot to the side, stretch your leg to the side, creating a triangle with your legs. Put your hand on the floor (or ankle if you can’t reach that far) and lean towards that foot while keeping your back straight. These are all fairly good warning signs that you may have strained your oblique muscles and that it’s time to seek treatment. Your obliques are a rather important part of your muscle system. So, be kind to your muscles by stretching before working out and doing physical activities. Warm up the muscles a little. If you happen to strain your oblique muscles, try some of the treatment options we’ve provided. And, if you take care of your muscles, there’s a good chance they will take care of you. Laney, H., “Oblique Muscle Strain,” Med Health Daily; https://www.medhealthdaily.com/oblique-muscle-strain/, last accessed July 26, 2017. Pocock, C., “Oblique Muscle Strain,” Health Mad, February 15, 2017; https://www.healthmad.com/oblique-muscle-strain/, last accessed July 26, 2017. “Causes Of Oblique Muscle Strain: Symptoms And Home Treatment,” Tandurust, September 1, 2014; http://www.tandurust.com/muscles-disorders/oblique-muscle-strain-treatment.html, last accessed July 26, 2017.